Nike are truly in a good mood today, and the launches come in abundance. 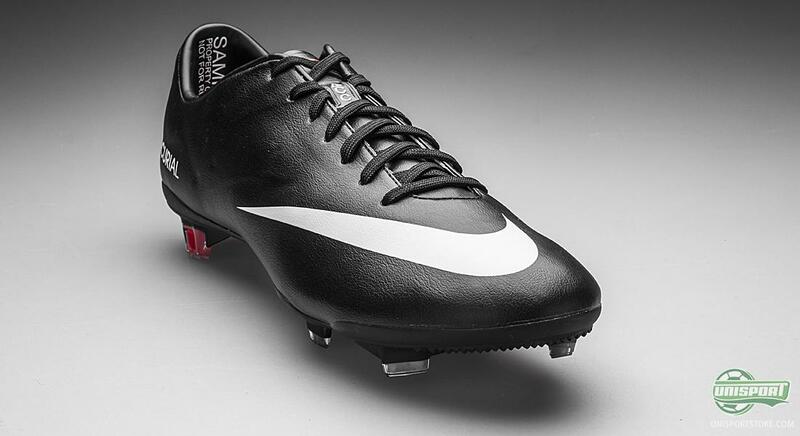 Now it's time for the Americans speed monster, the Nike Mercurial Vapor IX and it lands in an almost blacked-out version. The few colour details you will find on the boot are kept in white. Sounding good? Then come along, as things will only get better. You can be very sure that a lot of people have been asking for a Vapor IX in a blackout version, and now we can hardly get any closer. This boot silo has been known for very flamboyante and colourful models, but now Nike are ready to reveal a subdued version for the more conservative footballers. To top things of, it even comes with two different choices of upper material. Pretty cool right? You can, already now, pre-order the Nike Mercurial Vapor IX Stealth here with expected delivery in the beginning of July  just 192. The Nike Mercurial Vapor IX Black/White lands in two versions, thus giving you the freedom of choice, according to your personal preference. On the ninth incarnationof the Vapor boot, Nike presented us with their Speed Control upper with the golfball-like finish that adds to your ball grip. Are you more into the streamlined teijin synthetic? Not a problem. 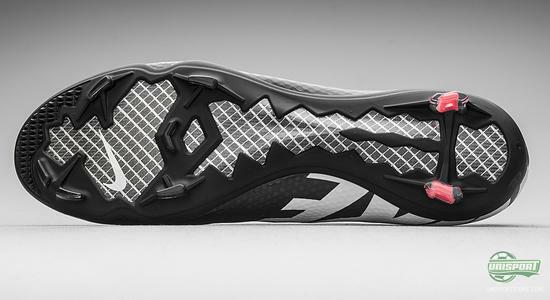 That version is also available if you are into the synthetic leather-like upper. But don't be mistaken; it is still made of teijin microfibre, not leather, although Nike have done an impressive job to make it look like it. The upper has been made very supple and soft, so if those are key prioritise to you, then you should probably go for this version. A common point for both versions is that they have been developed with Nike's ACC technology, which ensures that you have the same ball grip in wet weather conditions, as you would have in the dry. This technology is worked into the upper during production, and is hereby more than just a coating, but actually something that you will benefit from during the full lifetimne of the boot. Both upper choices will provide a nie snug fit and wrap nicely around your foot. the result is a very streamlined and aerodynamic boot. Which also goes nicely together with the boot's mantra of "Explosive Speed". 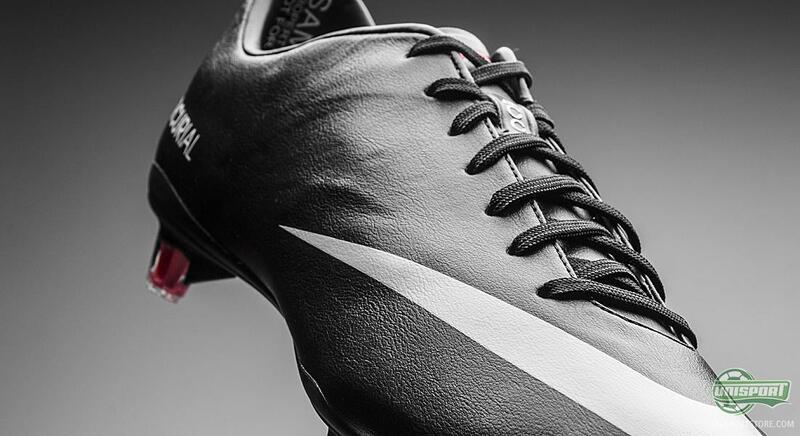 It's all about the speed for the Nike Mercurial Vapor IX and this is also very much emphasised once you flip the boot over and look at the bottom. 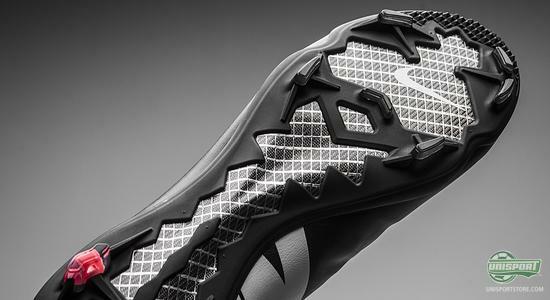 Here Nike have chosen to go with a double layer fibreglass outsole, which ensures a very high level of springiness that delivers more energy to your acceleration, as well as minimises the weight. The result is an incredibly fast boot that only weighs in at 185 grams. 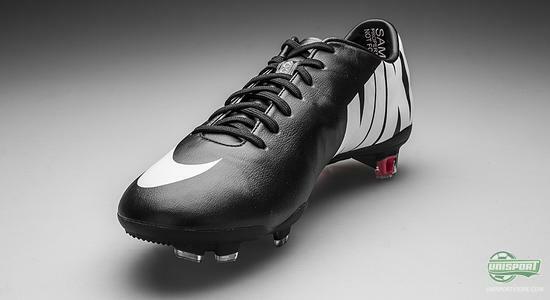 The stud configuration that Nike has developed is designed to cut into the pitch and provide instant and unmatched grip. 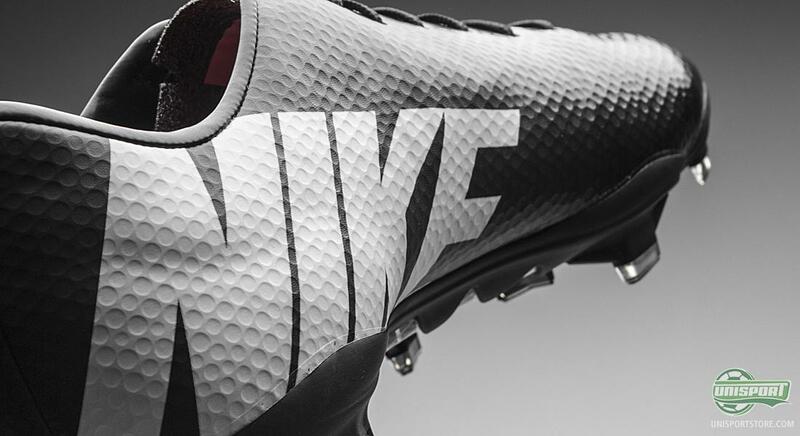 In a true minimalistic fashion, Nike have chosen to only use two studs on the heel. The theory behind this choice is that they will penetrate the ground faster than four studs, and hereby also leave the ground faster. The theory works and our boot expert, Jakob, applauds this very much. 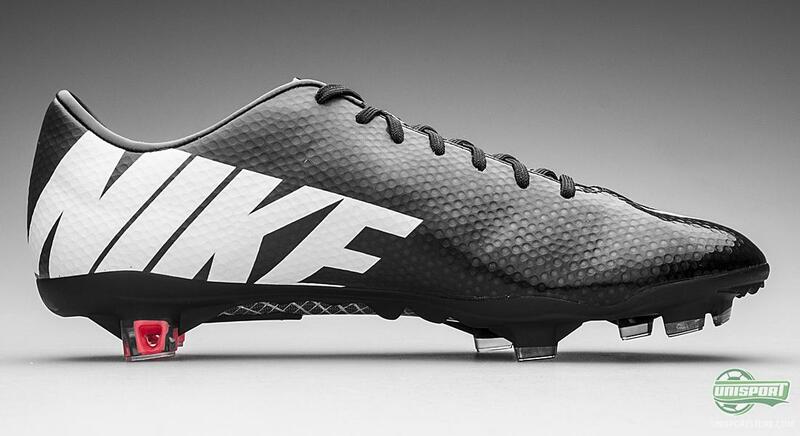 The Nike Stealth Pack has now landed with a boom! The boots just seem to have a certain mysterious feel to them, and they have already become very popular with the guys here a Unisport headquarters. Can you handle the crazy boot launches today? Which launch is your personal favourite? How about the Explosive Speed in a blacked-out version? Feel free to share your opinion in the comment box below, or on Facebook and Twitter.